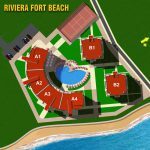 “Riviera Fort Beach” is a first line complex, located right on the beach in the tourist village Ravda. 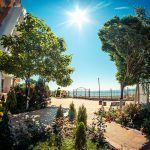 Offers an unforgettable sea view to Nessebar and Pomorie. 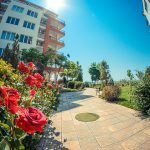 Choosing to spend your holiday at “Riviera Fort Beach” you will enjoy the relaxing and cozy atmosphere, as well as the convenience of the nearby shopping area of Ravda. 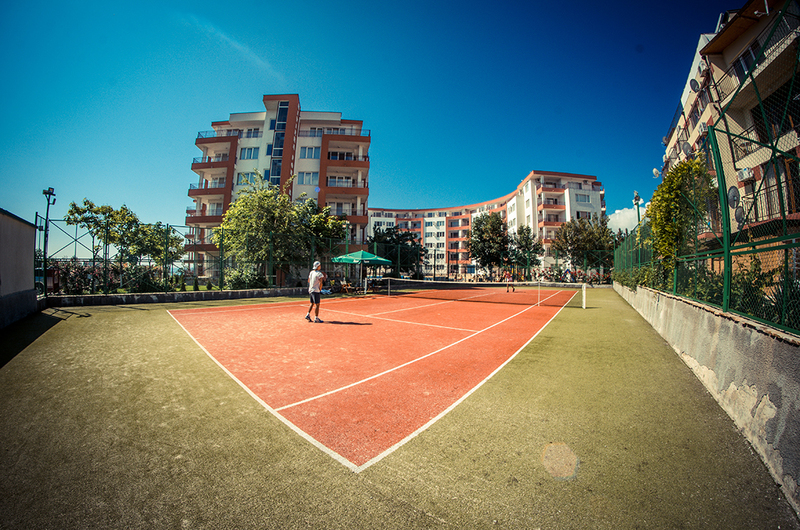 The complex will pleasantly surprise you with its impeccable landscaped courtyards, gardens with ornamental shrubs, flowers and lawns. 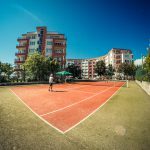 Having a swimming pool, restaurant, playground, massage and tennis court/football field will make your family vacation interesting and varied! 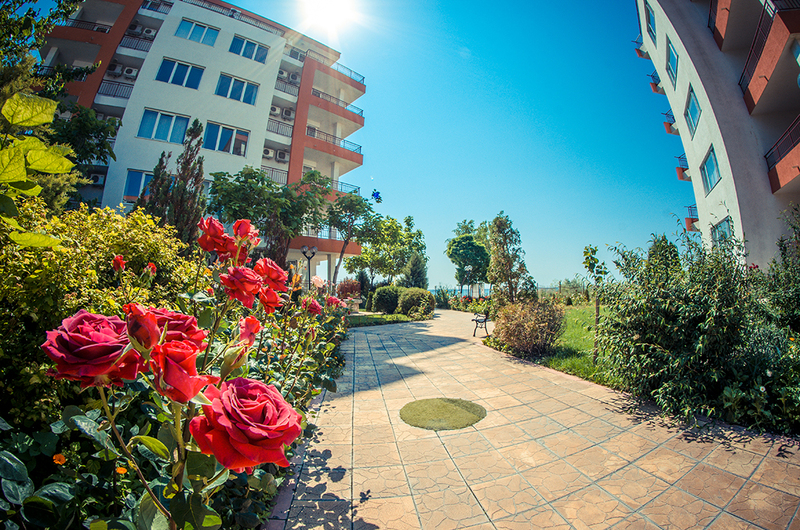 The “Riviera Fort Beach” complex offers its guests laundry service, free internet and lounges around the pools! Near the complex there is a free parking! The apartments are comfortable studios, one bedroom apartments with a living room and 1 separate bedroom and two bedroom apartments with a living room and 2 separate bedrooms, all fully furnished – kitchen box with all appliances and utensils needed for cooking and eating, cable TV with more than 15 English channels, air conditioning in each room, complete bedding and towels. 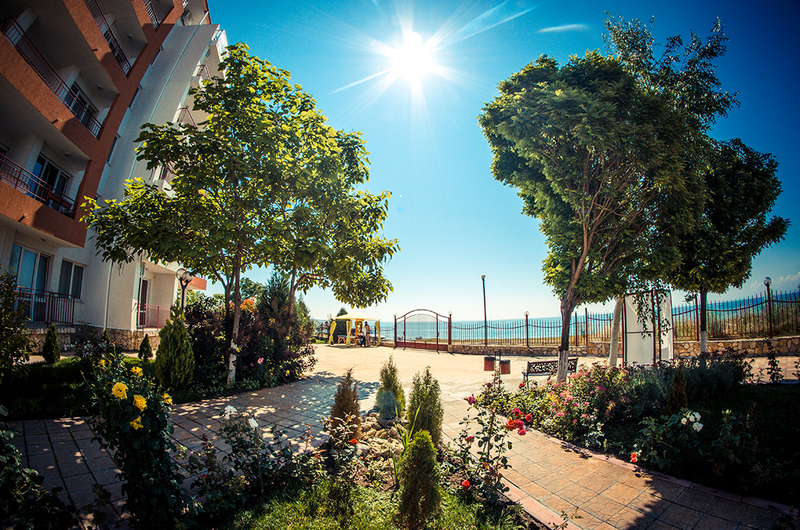 Accommodation: studio – 2 adults, 1 bedroom apartments – 2+2, 2 bedroom apartments – 4+2. 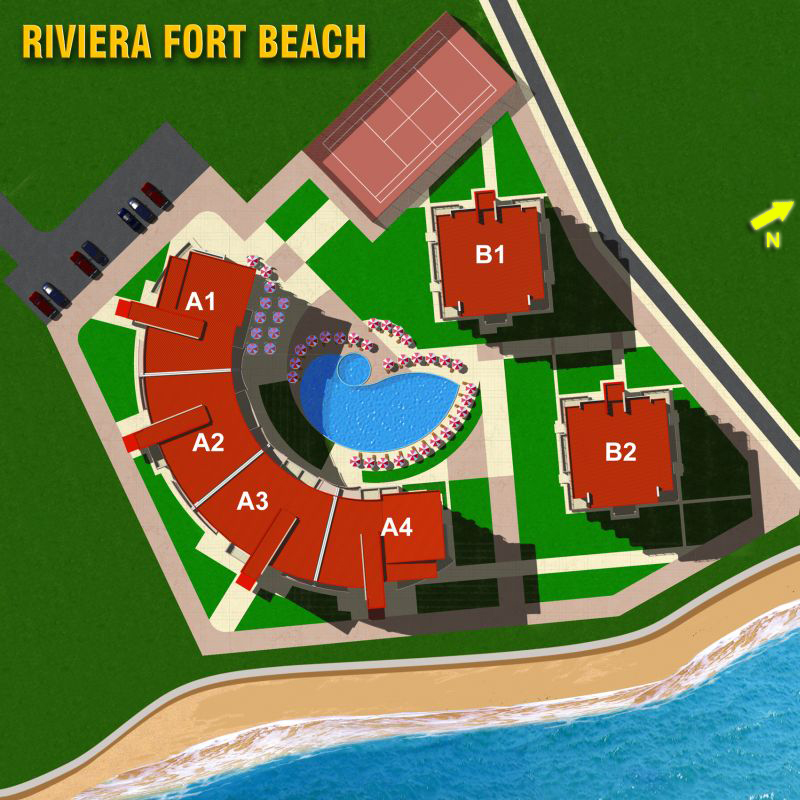 The complex “Riviera Fort Beach” offers absolute comfort for a family or romantic holiday!